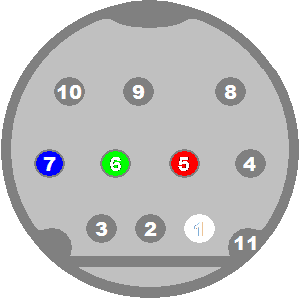 Luma (pin 9) can be used as sync when connecting RGB to devices such as the XRGB-mini and Sony PVM monitors. Details for modifying a NTSC system to output 9VDC as found on PAL systems can be found in this forum thread. Thanks KillingBeans.